Though there are several painters on the landscape with their own unique style, Splat Experience is truly unique. Since 2002 Christian Painter Marc Eckel has been painting his 8’x 8’ worship presentations using his bare hands to create masterpieces in just a matter of minutes. These crowd-pleasing paintings have been featured in Asia, Europe, Canada and in the United States with over 1,000 performances to his credit, enough fabric to more than cover a professional football field. 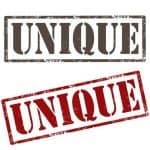 These presentations, accomplished in ten minutes or less, have been featured at conferences, conventions, churches, music festivals, and on two tours with Grammy-winning Christian band Casting Crowns. 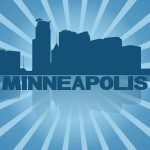 These painting presentations are available and sure to be a highlight at your event. Marc is also an author and speaker. 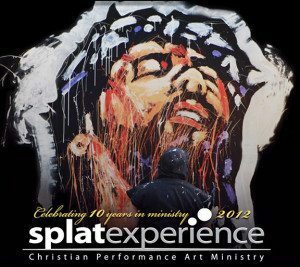 Splat Experience was established in the spring of 2002 with one presentation, The Sacrifice. This piece speaks about the sinfulness of man and forgiveness through the blood of Jesus. The performance by the Christian Painter starts with a dramatic reading that talks about the vast expanse of sins, which are written on the wall. The following painting of Jesus, with his blood, covers those sins in dramatic fashion. This piece can be performed including ten of your people during the presentation and is one of Splat Experience’s most powerful performances. The Above All, painting presentation became a Youtube phenomenon practically overnight as millions viewed this work online. In all the combined postings of the original “Woodside video” we estimate there have been approximately 8-10 million views. This led the ministry into the national spotlight, television broadcasts, and two successful tours with Grammy-winning Christian band Casting Crowns. 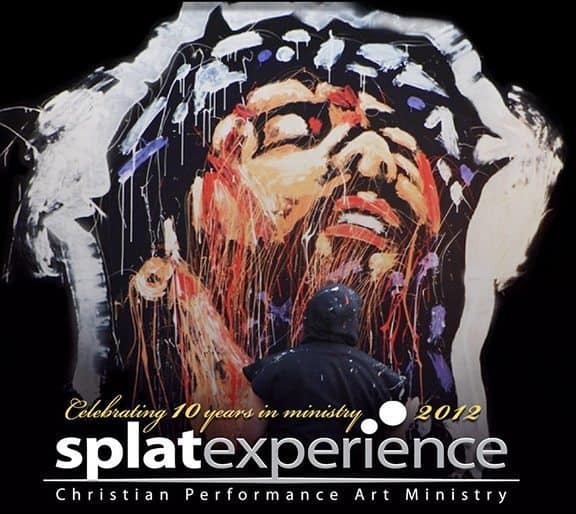 This worship piece highlights many titles of Christ and is Splat Experience’s most popular offering by far. The Truth painting presentation was designed specifically to be performed on tour with Casting Crowns during the Altar and the Door Tour in 85 cities across the United States. This work is performed during two songs featuring a prayer by Mark Hall, taken directly from the audio of one of the tour dates. This presentation exalts the Bible, the Word of God, the book that tells us about Jesus. The No Greater Love painting presentation is one of our most popular paintings in recent days. The dramatic reading during this piece asks the question: “Is it even possible to be acquainted with love’s greatest form of expression?” The answer is simple: “No greater love has any man than this, that he laydown his life for a friend.” This is one of few painting presentations that includes paint rollers. Our Boast painting presentation is one of Splat Experience’s newer offerings. This Rembrandt reproduction focuses on the theme of boasting in the Lord. This piece is designed with brown tones to help maintain the color scheme used in the original old masters painting, putting a new spin on a portrait of Jesus created nearly 370 years ago. In a world full of artists who create pieces that are immoral, Marc Eckel demonstrates how wonderful a Christian painter can be. He provides relief and inspiration to those who need it most, while also creating masterpieces of the religion that means the most to him. 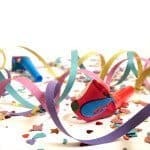 Who Are the Top Musicians for Fundraising Events?